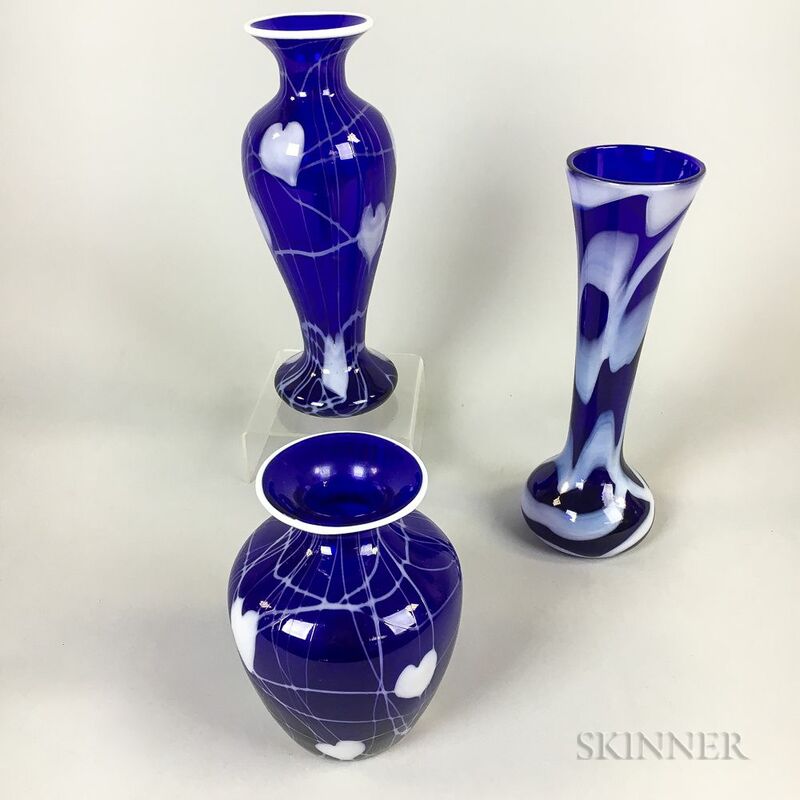 Three Imperial Art Glass Vases, Bellaire, Ohio, early 20th century, all with polished pontils, all unmarked, a conical form on bulbous base, blue ground with dragged loop white, ht. 9 1/2; a vasiform in blue with white Heart and Vine, ht. 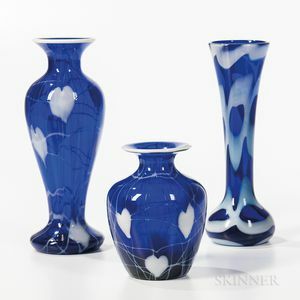 5 3/4; and an elongated baluster form blue with white Heart and Vine, ht. 10 in. fleabites to the smallest, long-necked with abrasions and scratches.